The National Hurricane Center has said a big Gulf Coast storm is likely. 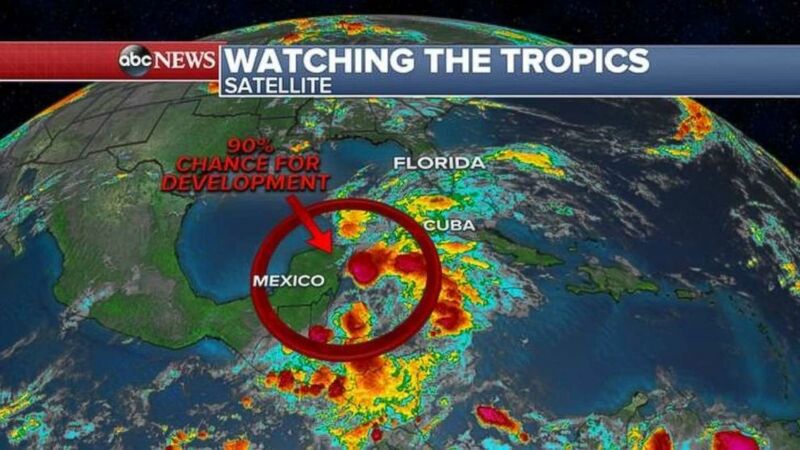 A subtropical storm has formed near Mexico's Yucatan Peninsula and is expected to bring heavy rainfall to Florida and the northeastern Gulf Coast over the Memorial Day weekend, according to the National Hurricane Center. 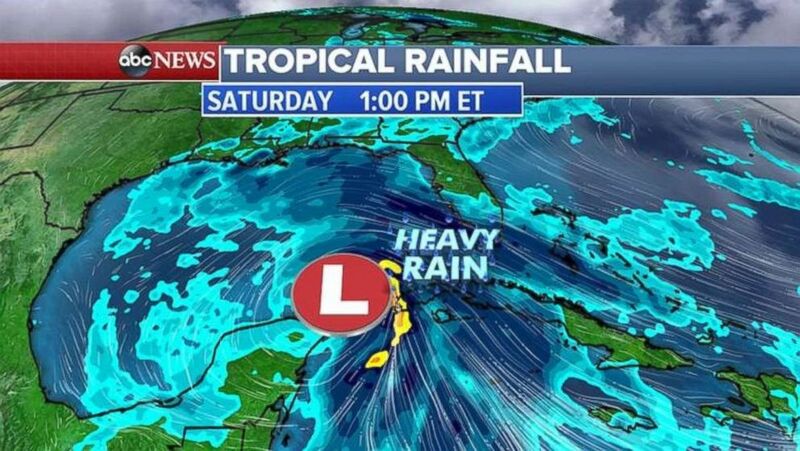 Subtropical Storm Alberto was "meandering over the northwestern Caribbean Sea" Friday afternoon, causing dangerous surf and rip current conditions on the Yucatan and the west coast of Cuba, according to the the center's website. The conditions are expected to spread to the eastern and central Gulf Coast later this weekend. Flood watches already have been issued from Alabama to Georgia. A storm of this type is not unusual for this time period and region. (ABC News) There's a 90 percent chance of a tropical or subtropical depression or storm forming near the Gulf Coast this weekend. That system on Sunday and Monday likely will continue moving north and dumping heavy rains along the Gulf Coast. Gusty winds, rip currents and large waves also are expected into Memorial Day. (ABC News) A storm system will be approaching the Gulf of Mexico on Saturday. 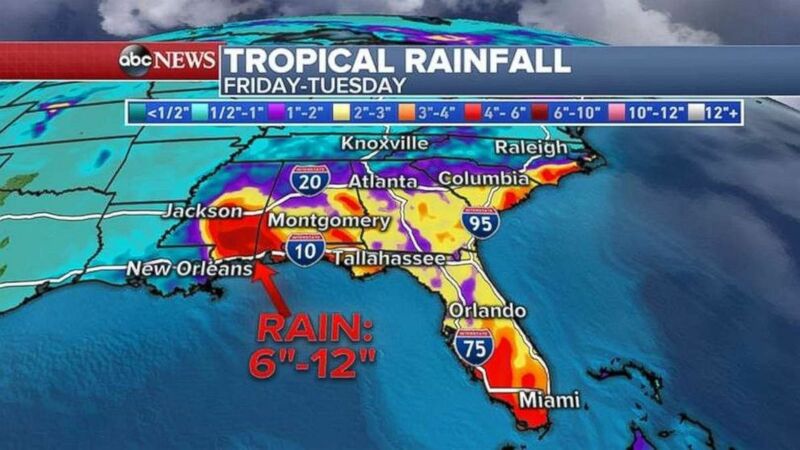 Areas along the coast can expect 3-6 inches of rain, with even more expected in the coastal Carolinas and southern Florida. Southern Alabama and Mississippi and the western Florida panhandle could see as much as 1 foot. Flooding in those areas is expected. (ABC News) From Friday through Tuesday, parts of the Southeast may see 6-12 inches of rain. Severe storms on Thursday raged from Minnesota to Georgia, creating flooding and damaging trees and homes. Similar conditions are expected for the Midwest and Plains again today. 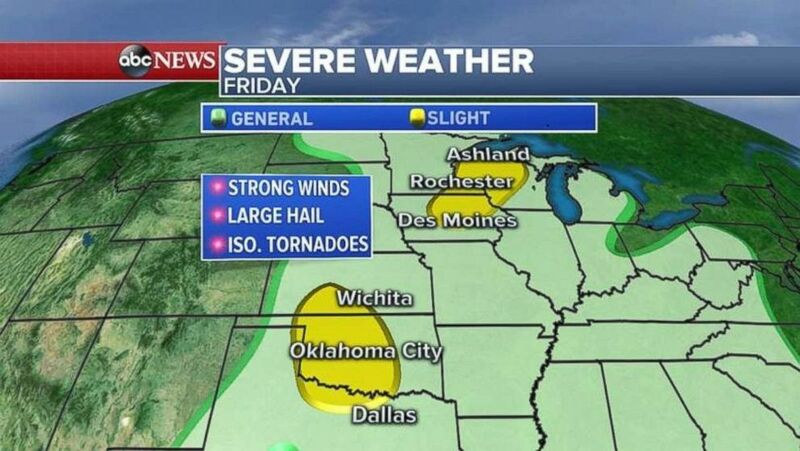 From Wisconsin to Minnesota to Iowa, and into Kansas and Oklahoma and Texas, the biggest threats will be strong winds and hail. Isolated tornadoes are possible. (ABC News) Severe weather is expected again today throughout much of the Midwest.